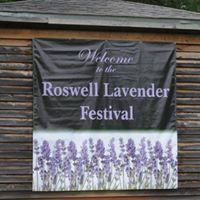 Annual festival celebrating lavender on the grounds of historic home Barrington Hall in Roswell, GA. Food, music, vendors selling art, decor, textiles, jewelry, bath and body, plants, and much more. Yoga classes, natural therapies and massage available in the Zen Zone. Kids activities include music, craft and building fairy houses in the Enchanted Fairy Hollow. Demonstrations and workshops.